As many of you likely know, after 42 years at our current location, R.E. Mountain Secondary will be transitioning into a new building this summer, leaving our current location which will become Ewart Middle School. 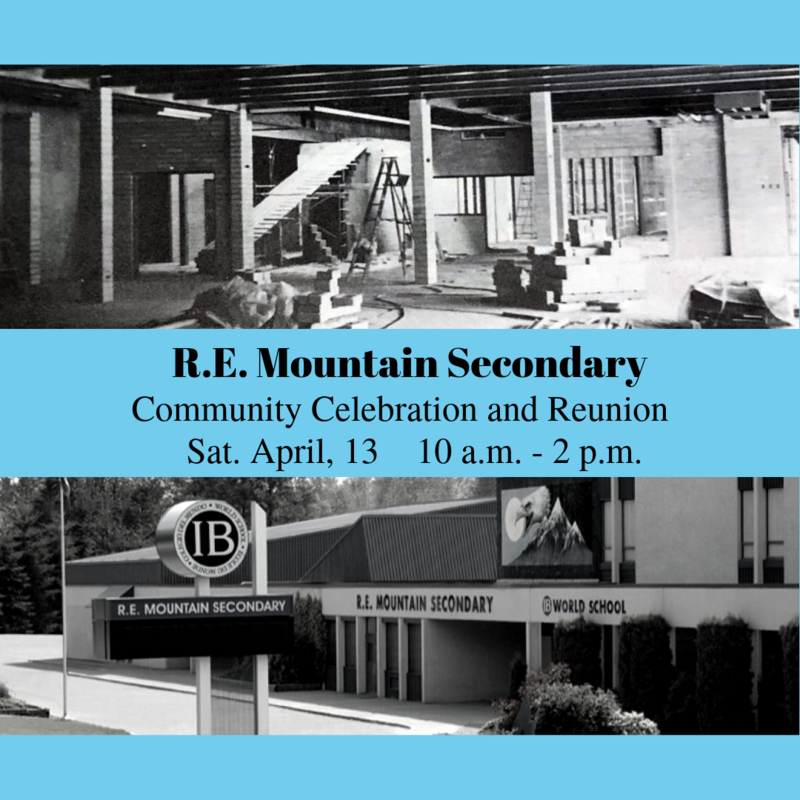 We want to recognize the strong history of academics, arts, technology and athletics at REMSS and, as such, we are hosting a community celebration and reunion on Saturday, April 13th, from 10am to 2pm. 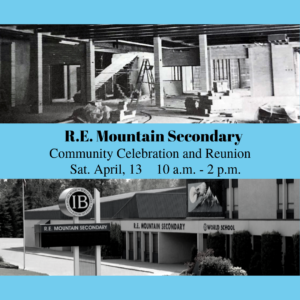 As part of this celebration we will be having alumni volleyball games, tours of the school, displays of the decades, updated pictures and video of the new building, food, music and improv, and a host of other activities for everyone. This will culminate with a 1pm ceremony where we will unveil a time capsule that will eventually be buried in our new site. This event is FREE and is open to the public. If anyone you know has had any connection to R.E. Mountain Secondary over the years, or just wants to stop by, we would love to see them here! We hope to see you for a fun day of memories!